Tampa Bay, Fla., has a rich history of brewing beers for the state and the region. Indeed, Tampa was the site of the first brewery in the state, the Florida Brewing Company. The brewery, which was later renamed the Tampa Florida Brewing Company, was located in what is now Ybor City. It was established in 1896 by cigar industrialists who saw a need for a local brewery. Since then the Tampa area has been called home by numerous breweries and now hosts six including Cigar City Brewing. Established because of owner Joey Redner’s passion for beer, Cigar City carries on the fine traditions of Tampa’s brewing history by producing award-winning beers using only quality ingredients. Guided by an inspiration that came out of the craft beer industry as a whole, Redner set out to create a brewery that would produce memorable brews in styles other than those played out by the macro lagers of the world. The results of his efforts include the company’s flagship Jai Alai IPA a big, hoppy IPA that blurs the line between IPA and Imperial IPA. Maduro Brown is another favorite that presents itself as a Northern English-style brown ale, but with higher alcohol content and a roasty chocolate flavor that has earned it an exceptional rating by Beer Advocate. 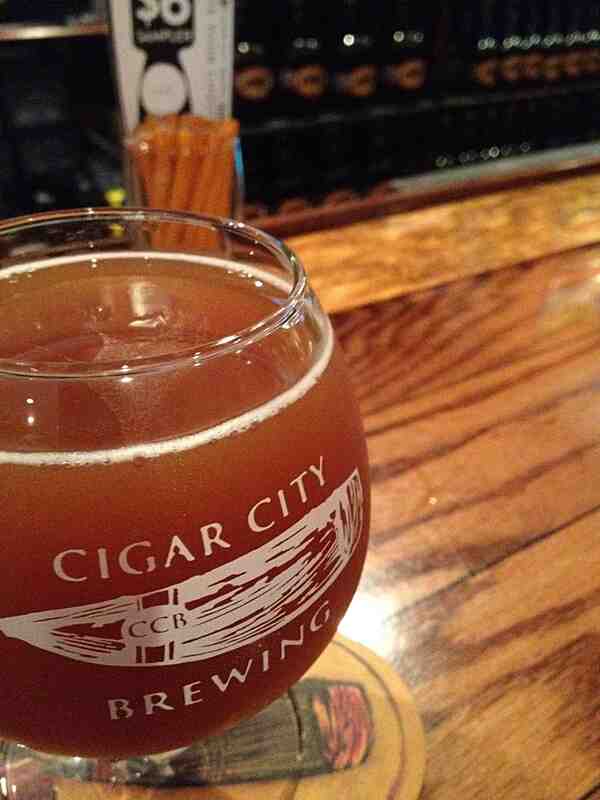 Cigar City is also known for its exceptional seasonals that tend to cause a big stir in the beer aficionado world. Releases like fall’s Good Gourd – Cigar City’s version of a pumpkin beer with pumpkin spices including Ceylon cinnamon, Jamaican all-spice, Zanzibar cloves and nutmeg – regularly sell out within days or even hours of release. A summer release, Cucumber Saison, garnered rave reviews and sold incredibly fast. The fresh, lively Saison evoked the herbal essence of cucumbers straight from the backyard garden. Recently, Cigar City has undergone a significant expansion in their production and packaging capacity. In order to keep up with current and anticipated future demand, the brewery expanded its original 15 barrel, two vessel brewhouse to a 30 barrel, four vessel production brewery. In addition Cigar City has purchased a used canning line from their Colorado friends, New Belgium and is looking into a new rotary bottling line. In its short history, Cigar City has garnered an impressive collection of awards from a Gold Medal for its Humidor Series IPA in 2009 at the National Beer Championships to a Gold Medal at last year’s Great American Beer Festival for Minaret ESB. Redner hopes to continue the brewery’s winning ways at this year’s GABF in Denver next month. He has entered 10 of his brews this year including the previously mentioned Cucumber Saison(5% ABV) and Good Gourd (9% ABV) brews. Redner says he has, “Always had the mentality that you have to look really hard for and go out of your way to get beer you like.” With brews like those produced by Cigar City, now you just have to look to Tampa for exceptional quality beer.